My story is long, but I hope it might help someone else like me. Let’s see, where do I begin? How I can I even attempt to put this into words? Not really sure but here ya go! Maybe I am writing this to help myself or it could be to help someone else that is going through or has been through the same thing. Or perhaps it’s simply to get my story out there that life truly does begin at the time of conception. Nothing irritates me more than to hear someone call a baby a “thing” or a “fetus”; they are babies plain and simple. 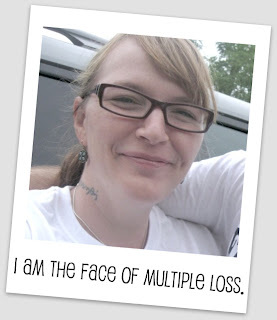 I’m Helene, the proud mother of 3 boys: one with cancer, one without, and one who lives only as a memory in my heart. On April 4th 2001, I gave birth to a little tiny baby boy, who was far from ready for this brutal world , and who never would have been, no matter how I would have loved him and cared for him had I been given the chance. I am 29 years old and have been married for almost 9 years. I never knew if I could get pregnant. I knew I had endometriosis. I used to tell people I did not know if we wanted children, but oh, we wanted a baby so bad. Imagine my surprise when I was pregnant just weeks after our wedding. However, deep down, I knew immediately something wasn’t right. At the time there really wasn’t a way to know- no pain or anything. It was just a feeling. About a week after I found out I was pregnant I began spotting. I was living in a new town and did not have a doctor but I called one to make an appointment. I was told it was normal to spot. It didn’t feel normal, but noboday seemed to care. Of course, it would not have mattered even if I could have seen the doctor. I spotted for well over a week, maybe two. One rainy, late summer morning I woke up and knew that was it. I knew that day would be the end of our pregnancy. I asked my husband to look up directions to the nearest ER and we drove. I screamed and cried as it all came to end. I shook with fear and sadness so deep I thought I would never escape. 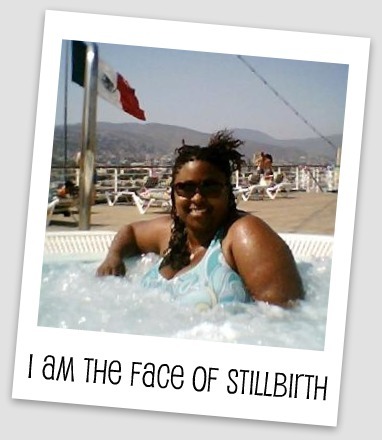 My name is LaRene, from Bellflower, CA and I am a mother of a stillborn child. My son, Christopher, was in 2001, at 27 weeks. I remember when I first found out that I was pregnant with him, I was so elated. I had already had one child and was ready for another. As I watched my body change, I embraced my pregnancy more and more each day. I talked to Christopher as if he was already in my arms, began picking out baby clothes and deciding what to name him. But around my 20th week, something began to go wrong. He felt different, didn’t move as much, and in my heart I think I knew something was wrong, but I shook it off. I remember walking to the laundry mat, which wasn’t too far from my house and while there needed to go to the restroom. Not wanting to use the public bathrooms, I walked home while the clothes were washing. In the bathroom, I noticed I was spotting and called my mother immediately. Luckily for me she only lived down the street and was able to take me to the hospital quickly. I was relieved to find out that the baby was okay and that I needed to rest and call my doctor the following day. When I saw the doctor, he said everything was fine but wanted me to rest for a week before going back to work. I had no idea that I would find myself in the hospital again a few weeks later. I moved into a bigger apartment and one week later, my water broke at 25 weeks gestation. The hospital was able to stop my contractions, but now I became high risk and needed to have complete bedrest in the hospital. This was the most scariest thing I had to endure at that time. I was told that as long as I was able to stay pregnant past 28 weeks, the baby had a better chance of survival. I stayed in the hospital for two weeks, laying there doing nothing but reading through magazines, watching t.v., staring at the white walls and out the window, and occasionally had visitors. All the while scared out of my mine. I pleaded to my son to stay in as long as he could and assured him I would love him regardless. The day I had my son, I went for tests and everything looked good. His heart was beating and according to the ultrasound everything looked normal. Then later that night I began to have contractions. 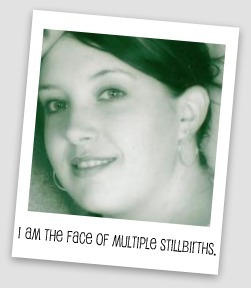 As they rushed me into the delivery room, all I could do was pray. My mother came immediately, as did my best friend. I was told that after I give birth, there would be many doctors and nurses around him because he would be very small and after they were done checking him, they would allow me to see him briefly before they would take him to NICU. I was prepared for that, but not for what was to come. Yes there were doctors and nurses around him after I delivered him, and although I didn’t hear him cry I expected that was normal since his heart had dropped during my final push. Soon my mom looked at me with tears in her eyes and I was told that my son was not breathing and they could not get a trachea down his throat. He was born still. I still remember the aching scream that came from my body as I called his name, the pain my heart felt and still feels to this day. Even as I write this, I began to cry because he never got to see me, feel my kisses, or know the love I have for him. It has been nine years, since he returned to Heaven and I believe that my grandmother was there when he was born and carried him to Heaven. I have to believe that because it would pain me to think he was alone. I have my pictures, my memory box, his clothes he was baptized in, and my memories of him as he grew within me and I will always love him. I know that there is a reason for everything and it is not up to me to try to make sense of it, but I can’t help to continue to long for my son, Christopher Allen, born still on April 28, 2001. After a normal pregnancy and the birth of a healthy son two years earlier, I was pregnant with my first daughter when I went to the hospital at 35 ½ weeks with contractions. My greatest concern at the time was that I might deliver early, but delivering anything other than a healthy baby never even entered my mind. Yet my naivety would not last long as just hours after entering triage signs began to indicate that something was wrong. An ultrasound showed fluid in the abdomen, a sign that my baby’s girl’s heart might be in trouble. Within a few hours our worst fears were confirmed by the pediatric cardiologist, who diagnosed multiple congenital heart defects and congestive heart failure in-utero. My husband and I will celebrate our 10 year anniversary in January. Our first year together we lived through 2 miscarriages. A missed miscarriage at 10 weeks in May, and another miscarriage in November at 6 weeks. We were worried that we would not be able to have children so we asked for tests to find out what was happening. I was diagnosed as having a MTHFR mutation and lupus anticoagulant disorder. We were told a daily shot of heparin should prevent any further problems. We were terrified to try again… so we waited, and then 4 years later and lots of needles in my belly, we had our first child. Sophia was born healthy and perfect after the longest 9 months I could imagine. Another 4 years and a switch to Lovenox, we had our second little girl, Polly. My first pregnancy ended in a missed miscarriage. We were elated when we found out we were pregnant. It seemed so easy! It was the first time we tried and could not wait to share our news. We were getting ready to go on a vacation with my husband’s family so I went to Planned Parenthood just to get a test before we told everyone. Planned Parenthood confirmed my pregnancy and we could not have been happier. Then the night before we were getting on a plane to head to Florida, I just did not feel right. I had a tugging at my side and felt like some of my symptoms had faded so we went to the ER to get things checked out. They wanted to do an ultrasound but there was not a tech there at the time so they called someone in. We were in the ER for hours waiting on the u/s. When the tech did the ultrasound, they did not see a sac but thought that maybe it was too early. He told me to wait it out and if I felt anything while I was away, I should go to the hospital. So there we are in Florida, supposed to be having fun in the Happiest Place on Earth and I just did not feel right. We went to the ER and they repeated the ultrasound and still nothing. I was devastated. I could not even stay on vacation. I arranged for an appointment at an OB for later in the week and boarded a plane to head home early. To make a long story short, they tested my HCG levels and they were not climbing. I was scheduled for a D&C a week later. So there I was one week later, sobbing in my Dr’s office waiting to end what was supposed to be the happiest time of my life. Fast forward 9 years and we had been trying for 16 months. My cycles were crazy. I went months without a period and even had a period that lasted a few months. I wasn’t giving up but stopped actively trying. Then once again, we are in the Happiest Place on Earth and I start feeling really crappy. I have the worst headaches and am nauseous. I put it off as just being tired from a very busy trip but the feeling has not passed even after we arrive at home, so on Monday morning, before heading back to work, I take a test. In fact I even take 2 because I do not believe the first on. I was shocked but so happy. I told my husband and we both shared our excitement. I kept it quiet at work besides telling one person and we only told our families. I went for my first Dr. appointment and all looked well. My bloodwork came back fine. Then we went for my 2nd appointment where we got to hear the heartbeat at 15 weeks. My youngest child was there and he was so excited to hear his new baby brother or sister’s heartbeat. Things were going well except for an occasional nagging thought that something did not seem right. I pushed it off as nerves because I am a huge worrywart. So off I went to my 20 week appointment. I dropped my kids off at school, which is also where I work, and everyone said they were waiting for their texts to tell them if it was a boy or girl. I had my check up scheduled first so my husband decided that he would just meet me afterwards for my ultrasound. I went in to my appointment and my blood pressure was a little high, as it had been on and off throughout the first 20 weeks but was always told it was OK. I joked with the nurse that I wouldn’t mind being put on bedrest. She talked about the Dr. possibly putting me on a medication for that. So he comes in and my husband wants to be on speaker while we talk about my blood pressure. He jokes with the Dr. that I need to eat better and exercise more. He and the Dr. joke for a minute but then he goes to listen to the heartbeat. My husband is still talking and I keep telling him to stop so that the dr. can hear. When I realize that he has been searching pretty hard I tell my husband to be quiet but he does not get it so I hang up. All I can do is stare up at the ceiling and hold back my tears. At this point I knew that it was bad. He kept picking up my heartbeat which was racing. He says that he cannot find it but will call down to get me an ultrasound ASAP. He leaves the room and I am left alone. I call my husband who has since jumped in the car and begun the 30 minute trip to the hospital. I tell him what happened and just cry. Go figure that as I am talking to him, he thinks he is getting pulled over so he hangs up. I did not know what to do so I called my mom at work. I could hear her crying on the other end and telling me that she wished that she could be there with me. The Dr. comes back in and says I need to go down to u/s right away because they are squeezing me in. So I have to walk down by myself, sobbing the entire way. I am met by 4 wonderful women who took my hand and tried to comfort me. I cannot bring myself to look at the screen or ask if it was a boy or girl. I only manage to ask when they think the heart stopped and they said 1-2 weeks before. They walk me back up to my Dr’s office where my husband meets me. We just stand in the waiting room hugging and crying. We wait to see the Dr. and when we meet with him he offers me two options. I could deliver the baby or have a D & E. Immediately my husband and I both chose the D&E. I knew in my heart that I could not handle the delivery. Unfortunately, my Dr. does not do this procedure so he recommends a colleague of his. He arranges everything for me and I just have to wait for them to call me with my appointment times. I have to drive home that day by myself. On the way home, I call into work where I tell my coworker what happened and ask her to spread the word to everyone so that I would not have to. However, I told her it was important that my kids do not hear it from anyone else. By the time I got home, the other OB’s office called me with my appointment. It was a Friday afternoon and I was set up with a consult Monday morning and set for surgery on Tuesday. The weekend was torture for me. Those days were the worst of my life. We head to the Dr. on Monday for the consult, I cry the entire time. Then I had to go over to the hospital for pre-admissions testing. I could not look at anyone without crying, people must have thought I was crazy. Then the next day I wake up and we get ready to go. My husband and I both cry the entire way to the hospital, walking into the hospital and sitting in the waiting room. Finally, they call me up and get me into a room to be prepped. I can barely get myself changed into my gown. Then one of the worst parts of the entire situation was when I had to sign off on my baby’s cremation. I could not even do it, my husband signed for us. Shortly after they put me in a bed and got ready to wheel me into the pre surgery area. I have to leave my husband and I sob as he hugs me and gets on the opposite elevator of me. I cry the entire way up and when I get there. Dr’s and nurses give me sympathetic looks and one then comes to tell me that my husband will be right down. I guess they realized how important it was for me to have him there. He sits with me until I get my sedative and I don’t even remember falling asleep. I wake up less than an hour later and am wheeled into recovery. We stay for another 2 hours and then I am sent home empty handed. Overall, the procedure was rather simple physically. Emotionally, I will never be the same. For days after, I second guessed my decisions and most days I still do. But I have come to know that I made the best decisions that I could at the time and that has to be ok with me. I went into labor on Sunday Janurary 14, 2001, my water was leaking so the doctors had to admit me to the hospital. I stayed just 1 cm for 24 hours. On Tuesday Janurary 16, 2001 at 12:39 p.m. my beautiful son Austin Micheal was born. He was 6 lb., 18 inches long. He was stressed from the labor, since it went on for 46 hours before I delivered him. He was rushed to the NICU for observation. He was on a breathing machine for 24 hours to help him breathe on his own. Finally after he was off the machine, we were able to hold him for the first time in 24 hours. He stayed in NICU for a week, the day he was released is the day he was baptized. Well, on Sunday Janurary 21st, was the first day Austin was home. He was a thriving little boy. His dad only had a short two weeks with him before he was sent off to Korea. Well, in the beginning of Februrary of 2001, his dad left for Korea. It was a sad day. Two months passed and daddy came home on leave to visit his beautiful boy. Austin had this thing where he would always stick out his tongue, that was his mark. My husband left two weeks later to go back to Korea for the Army. He saw Austin anytime he could by pictures or webcam. During the next three months, Austin grew up to be a big boy. He loved to go to Grandma’s house and play with his cousins. I was in school at this time, so he’d be at Grandma’s house until I would get out of school. Austin had a favorite uncle, named Jason. No one messed with Austin, or they had to answer to Uncle Jason. It was so cute to see them together. My birthday came and went in July. My mom-in-law took me and Austin out to AppleBees for dinner to celebrate my 19th birthday which was July 5, 2001. Things were all good, we talked to his daddy between the next few days, and all was well. The morning of July 11, 2001 was the day my life changed. Austin woke up to eat at 5 am, but he would not eat anything. I laid down with him to get him back to sleep, I ended up going to sleep with him. My phone woke me up at 8 am, it was my mother-in-law calling me to get me up for an appointment that morning. After I got off the phone with her, I looked over to Austin to give him a good morning kiss like I normally do. My baby was not responding. I picked him up, his mouth was blue and his body was lifeless. I kept saying, “Austin, wake up baby”. I called 911, they had me do CPR until the medics came. About 10-15 minutes later, the medics showed up. I walked away, because I could not handle seeing them poke my son in his feet with IVs. I called my mom in law back and said “meet me at the hospital, Austin’s not breathing”. She screamed in my ear. Reminder, my husband is in Korea at this time. I got a ride from the police officer and went to the hospital. My inlaws made a Red Cross call to get the message to my husband that we had a family emergency. I was a wreck. I was in and out of the hospital, crying and smoking. The last time I went out, I was coming back in and my brother in law was walking towards me. I knew at that time Austin was not alive. He took me in his arms and said “I’m sorry but Austin passed away”. They declared him dead at 9:16 am. We cried in each other’s arms. I went home that day and cried. My husband was on his way home from Korea. He was back at midnight on the 12th to be with us. Two months shy of my nineteenth birthday, I missed a period. As a freshman at college with few close friends and no mode of transportation, I didn’t know what to do or who to turn to. The whole thing was stupid anyway. I was having manic and depressive mood swings coming off of Prozac. I was feeling rejected by a guy so I started fooling around with another guy who was nice and who missed his girlfriend back home. It was just a silly fling to get us over them. None of these are excuses, just factors. Like I said, it was stupid. Regardless, here I found myself. I had to ask my roommate for a ride to the drugstore so I could buy a pregnancy test. I tried to hide it from her but I’m sure she knew, even though she never said anything about it. I spent what seemed like hours in the “community bathroom” of my dorm floor reading the test instructions, peeing on the stick, and subsequently freaking out – all very quietly, I might add. After a long night of crying, I started making a plan. I decided not to tell the father. For one thing, neither of us had any intention for our fling to last past the semester. I didn’t really want to be with him, nor he with me. Plus, I didn’t want him to have any say in the pregnancy or the baby’s future. I guess I was selfish, but we were both 18 and neither of us were ready for parenthood. 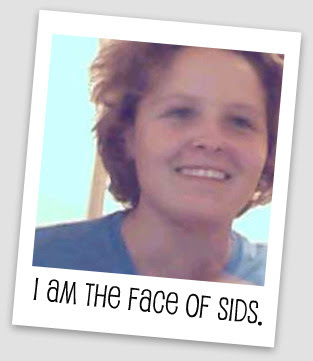 I started looking at open adoption agencies. I even thought of giving my baby up to a gay or lesbian couple to raise. I knew that I couldn’t provide for a child as well as a family could. I also knew that although I support the right for a woman to choose, I personally could not get an abortion because the whole procedure terrified me. I was going to have the baby. The problem was how to hide the pregnancy from my family. By the time Christmas break arrived, I was going crazy trying to figure everything out and keep it all a secret. I truly had no one I thought I could turn to with this kind of information. I was so scared and worried about how my parents would react if they found out. I really don’t remember how I acted those weeks at home, but I vividly remember one night. I was crying in bed after everyone else had gone to sleep thinking about what I was going to do. I finally broke down and prayed to God and told him that I just couldn’t handle this. I said I was lost and I needed help. The next day, my stomach hurt just a little. A few days after that, I started bleeding. At first, I thought it was nothing, but after a day I started to worry. I read about ectopic pregnancies where the fetus attaches itself outside of the uterus and as it grows it could kill the woman. That had me really worried so I finally broke down and decided to talk to someone. I chose my preacher’s wife because I knew she was very young when she had her first child. I was so afraid to tell her because it would be admitting that I had done something wrong. However, I really had no choice. We talked for about 2 hours before I told her the reason for my visit. She didn’t criticize or lecture or anything. For that I was relieved. She called a few people she knew with medical backgrounds and asked their recommendations. They suggested a visit to the hospital and so we went. Once in the ER, time seemed to stand still. We waited to be called. We waited for a nurse. We waited for a doctor. We waited for a sonogram. We waited for results. It could have been days for all I knew. I remember when they did the sonogram and how I really wanted to see my baby, but was too shy to ask. I wish I had. I think that would have made it feel like a real baby instead of just some medical problem. They kept asking me how far along I was and if I was sure. I knew then that something was wrong. The whole thing was very impersonal. It felt like they were all shaming me for what I had done. No one spoke to me like I was an expectant mother. They talked to me like I was a stupid child who had gone and screwed everything up. No one tried to reassure me that it would be okay. They acted like I was inconveniencing them. 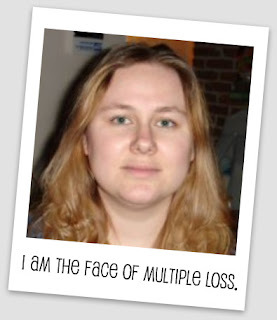 No one really acknowledged that there was a life involved, including mine. The results finally came back. I was supposed to be 9 weeks along, but the baby measured at 7 weeks. The baby was at least two weeks too small and had no detectable heartbeat. They ruled it a spontaneous abortion (miscarriage) and said to go home and just let it pass. If I kept bleeding for more than 2 weeks, I was to return for a D&C to clear everything out. Then we left. That was it. It was over. Immediately, I felt better. I could breathe again. I could think again. I could smile again. Even the pain seemed to go away as soon as we left the hospital. I just had to tell my parents. I felt like I could now because it was over and there was nothing that they could do or say to make it worse. I was nervous and I could barely get the words out through my tears but I told them the bare details: that I was pregnant, but the hospital said there was no heartbeat and that the pregnancy would end on its own. My mom cried. My dad only asked if there was anything that could be done to save the baby and I told him no. As far as the physical end of the pregnancy goes, I continued bleeding and having cramps, but took some prescription medicine to ease the pain. It felt like a normal period. One day I passed what felt like a clump of something. I went to change my pad and there it was – my dead baby. It was just a round, gelatinous clump of bloody tissue about half the size of my fist. I wanted to look at it, but I was repulsed. I flushed it like a goldfish. I wasn’t ready to admit it was my baby. After it was over, I was so thankful that I didn’t have to go through everything and could maintain a normal life. I went back to school as if nothing had happened. I did tell the father that I had been pregnant and miscarried. All he said was “good”. We didn’t really talk much after that. I decided that there was nothing more to the story and never thought I would really care. At the time, I was still so self-absorbed that it didn’t really occur to me that I was rejoicing at the death of a baby. It was months before I really thought about it again. 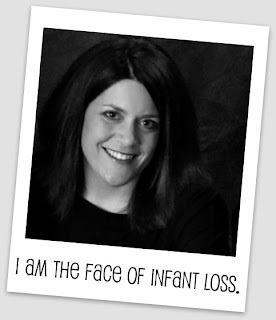 It was approaching the due date and I started to think of the baby that wasn’t anymore. At first it was more like research. I wanted to see how far along I’d be and what the baby would look like. Then I started looking for information on miscarriages and the causes. Turns out there’s not much. 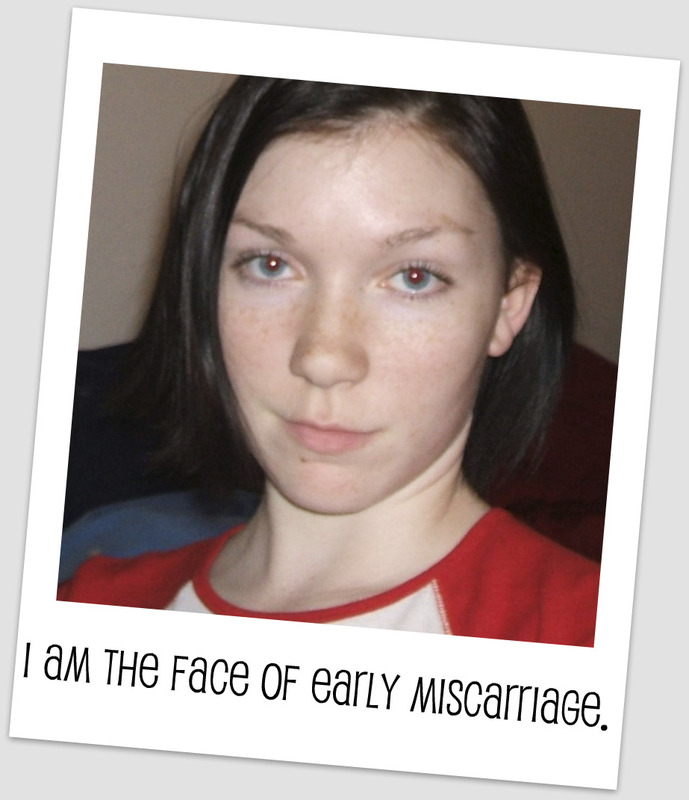 Most miscarriages have no known cause. Some pregnancies just end. I started worrying that whatever the cause, it might affect me in the future and maybe I’d never have children. I still think about that. 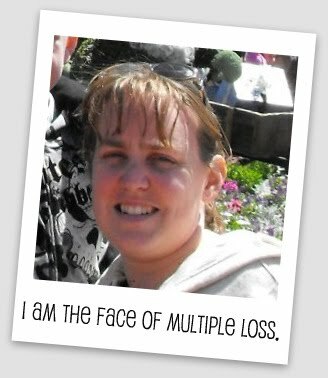 Most of the stuff I found on miscarriages had to do with couples trying to have a baby. Very little had anything to do with teenagers and I found nothing on the loss of an unwanted child. I guess they figure that if it’s unwanted, the only thing to feel is relief at the loss. And I did, but then I didn’t. It became a child – a child with my DNA. I decided that I should honor my baby and not just forget. I began by choosing a name: Isobel Nixie. Isobel means consecrated to God and Nixie means spirit. In essence, I named her for her death, though I picked the name before looking up the meaning. I also decided to give her a permanent presence in the form of a tattoo. The tattoo is her initials (INW) placed on top of each other to form a square with lines in the middle. It’s located on the inside of my hip, the relative position of her entire life. I did all kinds of internet research on pregnancy, miscarriage, child birth, child development and all sorts of related topics. It was then that I discovered that there wasn’t much for people like me. I hadn’t wanted a child. I didn’t plan the pregnancy. But I was still feeling things for this baby. I constantly thought about how old my girl would be and how my life would be different with her. That was almost 10 years ago. I still wonder about what my daughter would be like now. I still wonder if I’ll be able to have kids, should I decide to. My biggest fear is that she was my only chance to be a parent, and I blew it by praying for her to go away. There’s nothing like thinking you killed your baby. I know I didn’t do anything physically, but I still wonder if I didn’t kill her by not loving her from the beginning. I know my story is different from many of the others, but I feel like I need to put it out there for the other women who may end up in the same position I did. Just because it wasn’t planned and it took me longer to come to terms with it, doesn’t mean I didn’t love my baby and doesn’t mean I don’t miss her. It’s so nice to see that there is more support out there now than back then.